April Events And Ideas That Will Change Sagittarius Life! In the first part of April, you may start devaluing yourself and this will mainly touch two spheres of your life – finances and your love life. Who or what is to blame? This time, it’s Saturn that will be going through your 2nd House of Possessions making you reflect on what you have and what you don’t. It, of course, concerns not only the material area of your life but your self-esteem as well.  On April 2, Saturn and Mars will collide and you’ll probably start hesitating about your past and present financial decisions. On April 4, things may become a bit worse and you may face a feeling of rejection and even unworthiness in the romantic sphere of your life. Please wait patiently for April 15 when a New Moon will bring lots of positive changes.